I am asked a lot of questions about weddings, so here are a lot of answers! I started my business in 1986, and have photographed over 3000 weddings in my time. I've done small intimate 14-person weddings to large extravagant 600-person weddings. My style on wedding photography is by capturing natural beauty and emotion in order to tell the story of your wedding day. I strive to record real moments as they happen. 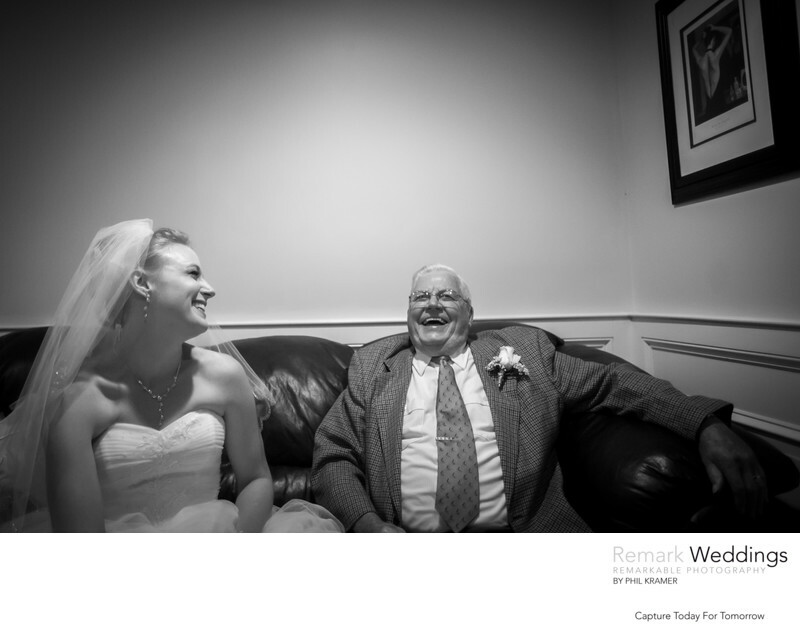 Your wedding day is about you and the people that have always cared for you. I will capture the monumental, the unpredictable, and the subtle moments! With an artful eye, my photographs will meticulously document the details that make your event special. These are the moments that will tell the story of your fantastic day. Explain the difference between Traditional and Journalistic photos? Traditional style is portrait-oriented. The photos are directed by the photographer. People are aware of the photographer and that they are being photograph. I feel there is a time place for these type of photos, such as bride & groom, wedding party, and family portraits. Photojournalism is candid-oriented. The photojournalist’s goal is to take pictures while people are not aware they are being photographed. By blending with the crowd, a photojournalist is able to capture the action as it unfolds – the true emotions, the real expressions, the happiness. This approach produces a more intimate, artistic take on a wedding. These Photos will reflect a fleeting, organic moment that conveys the emotions of the day. To shoot in this style, I anticipate what is going to happen before it happens. Yes I do, I take great pride photographing the family formals. It's not easy making everyone look their best but I make it fun and enjoyable! I will meet with you 30 to 60 days before the wedding and discuss with you your family photos. When where who? Just remember that its a wedding not a photo shoot. A list a mile long of families will take some time, but I will be more then happy to do it. Do I have to provide you with a shot list? No. I will discuss it with you at our meeting 30 to 60 days before the wedding about the shot list. I will get the standard formals. You are hired me for my style and my experience, so with that in mind, I will capture the important photos that you request, but I would also prefer to integrate my creative vision. As soon as you come to a decision. I do not officially schedule clients without a retainer. It's first come first serve basis. Clients usually book me 1-2 years before their wedding. 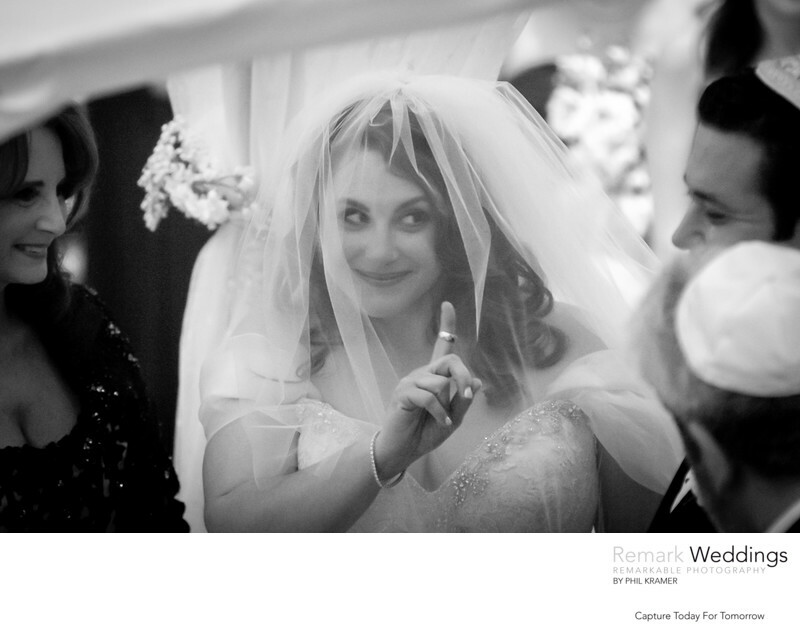 Are you photographing my wedding? Yes, of course! I will personally be there. I will guide you though your day, and capture the moments as they unfold. I will also bring an associate photographer. What happens if you are unable to provide coverage of my wedding? This rarely happens, but no need to worry! I will guarantee that if something should happen to me from performing my services at your special occasion I will dispatch one of our other highly-qualified photographers to cover your event and reduce your contract fee by $500.00. When it comes to attire, my goal is to blend in with your guests. I will wear something that is both appropriate for your type of event and comfortable for me to work in. What is the payment policy and schedule? Dates are reserved on a first-paid, first-served basis. A non-refundable $2000.00 retainer, with a personal check, is required to secure the services for me for your special day. Sixty days 1/3 and the balance Thirty days before the wedding, No exceptions. We accept check credit cards and cash. If you should wish to cancel our services, we will retain the full amount of your retainer. If you cancel within 120 days of the event, the total amount for photography services is still due in full. This policy is in effect because I committed myself to you, and by canceling my services just before your wedding, I missed an opportunity to schedule another wedding or event for that date. However, if you do cancel within 120 days and I schedule a wedding on the canceled date within that time, I will refund your money. Do you travel nationally and internationally? Yes I do! I've been to London, Dublin, Florida, Arizona, Texas and California. This depends on the size of the wedding. 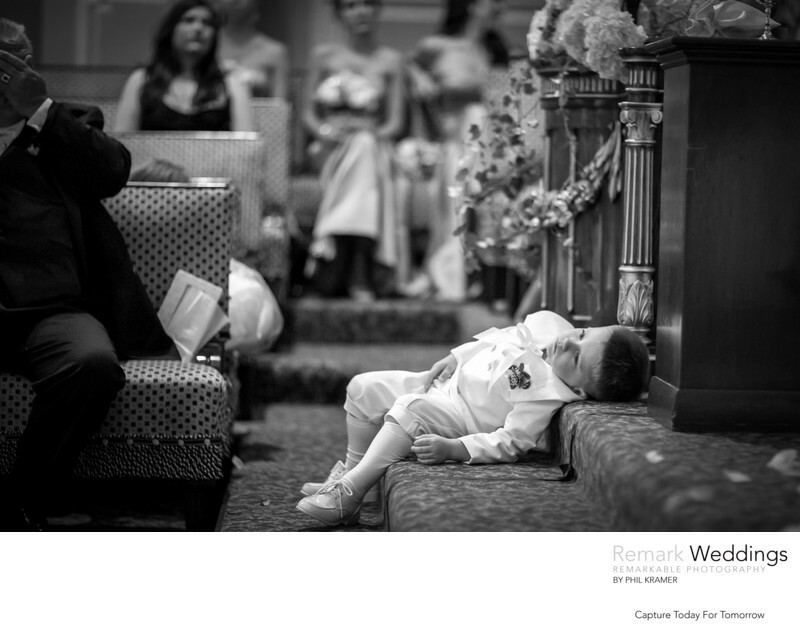 On average an wedding, I will present 1000-1500 images to the client. As each wedding is different from the next, I will photograph as much as I feel necessary to capture the great moments of your day. A bride has never complained to me about not taking enough photos. When do we see the images from the wedding? How long are delivery times for pictures and albums? I don't want you to look like the boy pictured above, so during your first week as a married couple, I will send you a sneak-peak app of 40-50 images. 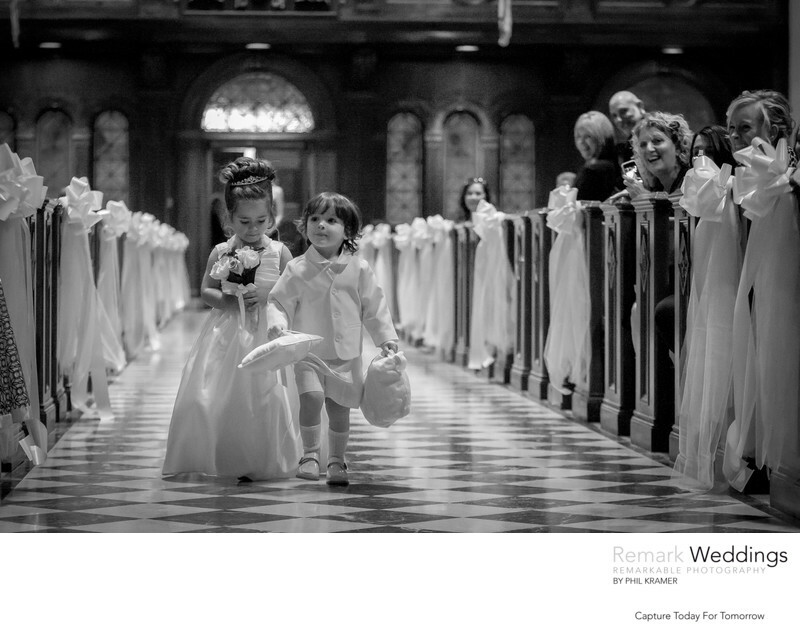 The digital portfolio is ready to view within 8 weeks after the wedding. Loose photographs are often ready within 6 weeks, except during peak season, which may take a 1-2 weeks longer. Framing a photograph adds 2 weeks to the delivery time. Our custom handmade albums are usually finished within 4-6 months from the date the complete order has been approved and paid in full. Can we purchase all the digital files? Yes! They are included in most of the packages. You can always add them to a package. Yes, we provide a clickable photo booth that and prints three images onto a personalized strip. I provide a manager to set up the photo booth, organize the props, and operate the booth for your guests. The photo booth is fun for the guests, and the photo strip a memorable takeaway from the wedding. Am I required to provide a meal for my photographer? Yes, please! I work extremely hard throughout the course of your special day, and I build up a big appetite, so a hot meal for myself and my assistant is appreciated. Please discuss this with your caterer and arrange to have our meals served while your guests are enjoying their main course. This will allow me time to eat without missing any photo opportunities. What is the fee for overtime and what does that include? Overtime is a flat fee of $400.00 per hour, per photographer and includes, processing and assistant(s). As a convenience to you, overtime is a decision you can make on the day of the event if necessary. I'll will bill you after you return from your honeymoon. Yes I do, I usually have 4 camera bodies, a number of lens and extra flashes. I'm always prepared if my primary equipment fails to work for some reason or if something accidently breaks during the wedding. My uncle has a cell phone camera. Can he take photos? It's doesn't bother me, but I will have to say that photos don't look good when someone in the background is recording the ceremony or the first dance. I recommend using a sign to respectfully ask guests to turn their phones off during important moments. I do not allow cell phone photography when doing formals, because during this, I am on a strict timeline and I prefer your guests to relax and concentrate on when they are needed for a portrait.